Former Ekiti State Governor Ayodele Fayose has said his administration did not incur N155.79 billion debt when it left office last October, as claimed his successor. 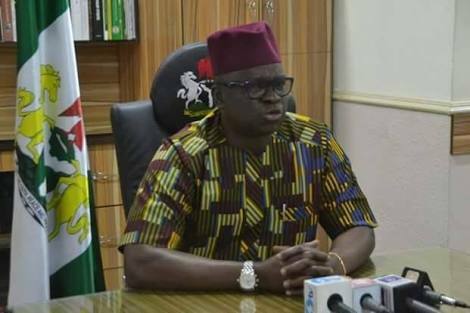 Fayose reacted yesterday in Ado-Ekiti, the state capital, to an allegation by Governor Kayode Fayemi that his administration piled up such a huge debt before exiting office. 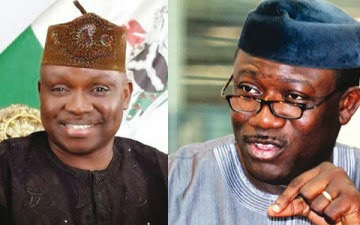 Speaking through his media aide, Lere Olayinka, the former governor said Fayemi was only trying to cover up his 100 days of failure by lying that the immediate past administration incurred N155.79 billion debt. Olayinka said no amount of falsehood could diminish the outstanding achievements of the Fayose administration. He said: “When a governor goes about advertising signing of 2019 budget as a major programme of his 100 days in office, such a governor should be pitied. On this one, we can only pray for the reconstruction of the lying mind of Dr John Kayode Fayemi. The former governor’s spokesperson insisted that Ekiti State was not committed to any financial institution in form of bonds and commercial loans. According to him, the state’s indebtedness was under N60 billion and that the debt was either directly incurred during Fayemi’s first tenure or as a result of the loans restructuring done at the instance of the Federal Government and the Federal Economic Council (FEC). He gave the breakdown as follows: Commercial bank loan, N2,087,788,065.28; CBN grant for water project, N163,450,000; Excess Crude Account-backed loan, N9,545,173,472.78; bailout, N9,083,761,215.40; FGN bonds, N18,226,699,707.18; state bonds, N3,484,469,345.51 and budget support, N16,869,000,000.